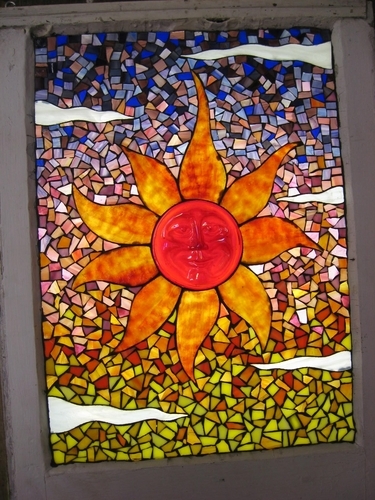 I am a professional stained glass artist with 22 years experience, specializing in the copper foil method. I enjoy making high quality 2-D and 3-D items such as windows, lamps, vases, jewel boxes, candle holders and sun-catchers, as well as commissioned custom orders. This Sunshine design is done in a 'mosaic' style with a multi-coloured background with a striking effect. It currently hangs outside in my yard! 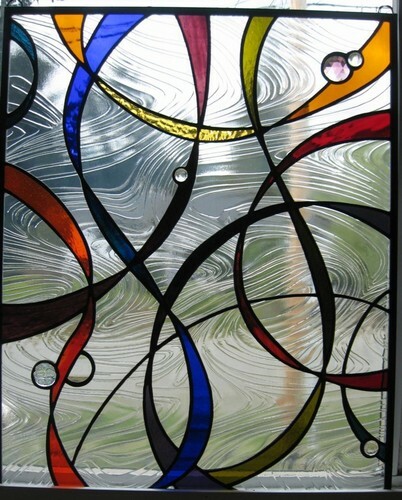 This "Ribbons" window was designed to represent a 'Joie de vivre', using a movement-filled clear textured background glass and accented with numerous rich jewel-toned ribbons of glass. 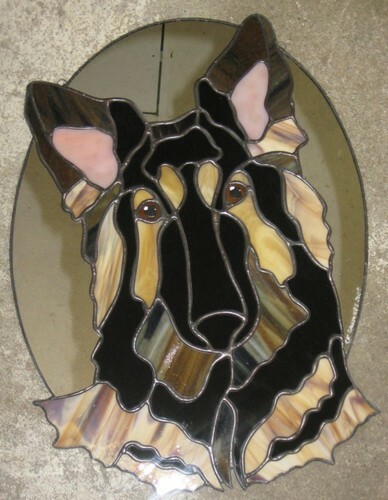 This client wanted a stained glass picture of their beloved German Shepherd, so I made a design from the photo submitted to me; it turned out very well! I have since made numerous panels for these particular clients, all of their pets. 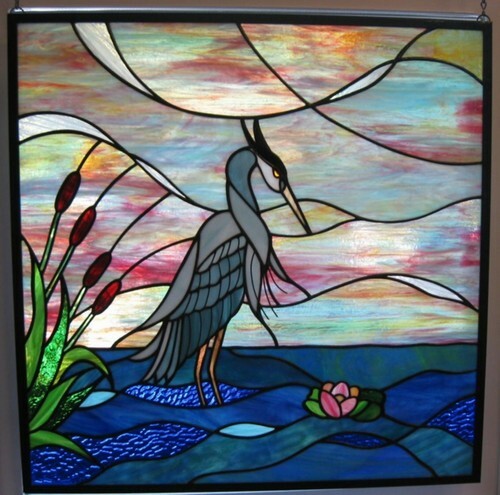 This Blue Heron window was commissioned by a local dentist's office - something soothing for his clients to focus on while having dental work performed. Measures 24" x 24". 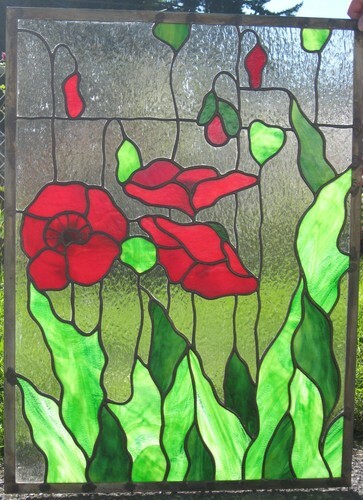 This poppy window was adapted from an image the client saw on Google; it was a good size, about 30" x 24", and had to be shipped to Alberta. I am quite versed in packaging glass for shipping, and have never (touch wood!) had an issue to date.